Exclusively showing at the Leela Puppet Theatre in High Falls, NY! Incredible, outrageous, controversial marionette show for the new age! Can God find the ultimate culprit behind the problems facing the planet? Can Mr. Tarot achieve the goal we all share at some point in life? 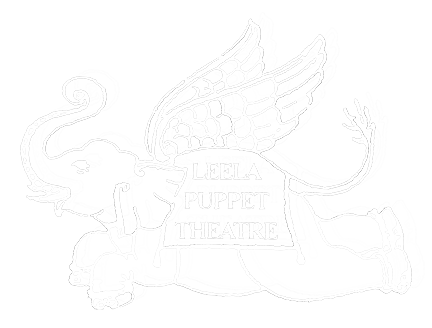 Be prepared to be transported to heaven and back as the mysteries of worldly conflict, the stages of human life, the spiel of the ultimate huckster, and the quest for independence are revealed in the Leela Puppet Theatre's thought provoking “Meetings with Remarkable Puppets." In four separate stories you will meet the wildest array of characters and concepts in a mesmerizing multimedia marionette extravaganza! *Now performing at Clove Valley Farm in the big red barn. TICKETS for "Meetings With Remarkable Puppets"
Only 18 tickets available per show. Reserve your seats here. IT'S FREE TO RESERVE YOUR SEAT HERE ON THE SITE, BUT WE DO ASK FOR A SUGGESTED DONATION AT THE DOOR.